The gradual growth of the Russian Empire slowly led to the belief that free Russia was the protector of the Orthodox Christians during its territorial expansionist ambitions and its conflict with the Ottoman Empire. 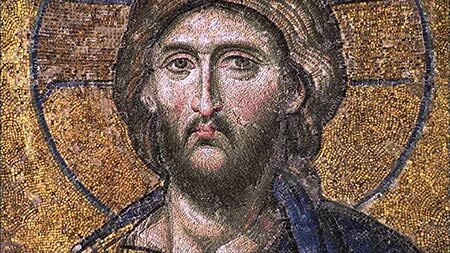 This, however, did not hinder relations between the two Churches, which had a good cooperative relationship from the fall of Constantinople up until the mid 19 th century. 3 A division, however, began to manifest between the Greek and Slavic speaking Orthodox Churches in the mid 19 th century after the Russian Empire adopted the ideology of Pan-Slavism, which was utilized by the Russians as a pretext to liberate the Slavs from the Balkans and Europe from the ailing Ottoman Empire. 4 These political expansionist ambitions were also adopted by the Russian Church, which eventually led it into a collision course with the Greek speaking Orthodox Churches, predominately the Ecumenical Patriarchate, after Moscow began to intervene and conduct its affairs outside its territorial jurisdiction. The role of conducting extra-jurisdictional matters, however, was reserved to the Ecumenical Patriarchate alone, 'the first among equals', which felt that the Moscow Patriarchate was superseding its authority through its actions in the Balkans (Bulgaria) 5 and the East (Jerusalem and Antioch) 6.  Autocephaly : The notion that each local Church is autocephalous when its leaders, who are ordained by Christ, then ordain their successor Bishops. No local Church (i.e. Constantinople) can interfere in the affairs of another local Church (i.e. Moscow). (John of Shanghai, Troitsky & Grabbe).  Third Rome : The 19 th century concept that Moscow (Third Rome) and its Tsar became the God ordained protectors of Orthodoxy after Constantinople abdicated its position through its betrayal of Orthodoxy in the Synod of Florence and as a result was enslaved to the Turks. In the early 1940s, Stalin begun to adopt these ideas when he sought to utilize the Moscow Patriarchate to foster patriotism as a tool for Soviet ambitions. Thus, concepts like Moscow the Orthodox Vatican, or Moscow the Third Rome, began to reemerge as if a local autocephalous church (the Russian Church) would regain and rule over its territories in opposition to Eastern "Greek" Papism (Constantinople). 17 In May 20 1947, Troitsky returned to Moscow, after being asked to receive a teaching position at the Moscow Theological Academy. 18 It is here where he propagated and expanded his views, as well as those of the other Karlovtsy scholars, against Constantinople when he published his article The Limits of the Authority of the Patriarch of Constantinople over the Diaspora two months later, in November 1947. 19 This particular article articulated most of the main arguments of the Karlovtsy scholars against the actions and prerogatives of the Ecumenical Patriarchate, which to a greater extent has remained the official view of Moscow as well as most if not all Russian based Churches abroad to this day. A comprehensive response to Troitsky's article was given in Greek by the Chalki professor Photiades one year after its publication, which encompassed the official view of Constantinople that is still being used to this day. In 1996, two Russian journals, One Church in the USA and Sourozh in the UK, 20reprinted an English version of this article in order to reignite Troitsky's arguments to the English-speaking world as a response to the Ecumenical Patriarch's reactivation of the 1923 tomos on Estonian autonomy at the request of the Estonian government. The main motive behind this action was to present the Ecumenical Patriarchate as the aggressor Church, which openly trespassed on both the jurisdictions of Moscow and of the Orthodox Church in America, which had attained its autocephaly from the former in 1970. 21 The English-speaking supporters of the Ecumenical Patriarch responded to some extent to the supporters of Troitsky's theories, but they tended to focus on Constantinople's primacy and ecumenical prerogatives instead of countering Troitsky's accusations directly. In fact, the only work to effectively give a counter argument to Troitsky's various theories in English is the hard to find English translation of Metropolitan Maximos of Sardes' excellent book, The Oecumenical Patriarchate in the Orthodox Church , which was released twenty years prior to the translation of this article. 22 Maximos did an impressive and extensive job of responding to a great deal of Troitsky's body of work, but he did not give a comprehensive response to the article in question. Given the significance of this article, which was written and reprinted at crucial moments of Moscow's clash with Constantinople to this day, it seems right to revisit it along with Photiades' response in order to give both sides of the story for the first time in English and to state clearly the positions they represent. 1 S. V. Troitsky, (" O granitchach raspostradenija prava vlasti Konstantinopolskoj Patriarchii na 'diaspora " (The Limits of the Authority of the Patriarch of Constantinople over the Diaspora) article in the Journal of the Moscow Patriarchate No 11, 1947, pp 34-45, translated into English One in Christ , 50:3 (1996) 59-67 and in Sourozh , No 64 (May 1996) 33-52. 2 See Ἐμμανουὴλ Φωτιάδης, Ἑξ Ἀφορμῆς ἑνὸς Ἄρθρου (On account of an Article), Ὀρθοδοξία 23, 1948, 210-40. 3 Metropolitan Maximos of Sardes gives a brief, but factual account of the good relations between Moscow and Constantinople from the mid 15 th to the mid 18 th century. See Metropolitan Maximos of Sardes, The Oecumenical Patriarchate in the Orthodox Church , Patriarchal Institute for Patristic Studies, Thessaloniki, 1976, pp. 287-293. 4 Andrzej Walicki, The Slavophile Controversy - History of a Conservative Utopia in Nineteenth-Century Russian Thought , University of Notre Dame Press, Notre Dame, Indiana, 1989. 5 The independently formed Bulgarian Exarchate was deemed schismatic for adopting the heresy of ethno-phyletism (ethnic tribalism) after it created a rival jurisdiction in the territory of the Ecumenical Patriarchate in 1872. This decision was not fully supported by Moscow, which maintained a relationship with the Bulgarian Church until the healing of the schism in 1945. See V.I. Phidas, Ecclesiastical History (in Greek), vol. III, Athens 2014, pp. 503ff and especially 543ff (Τό Βουλγαρικό ζήτημα και ἡ ρωσική πολιτική). 6 The Russian Orthodox Ecclesiastical Mission in Jerusalem promoted Arab nationalism, especially in the Patriarchate of Antioch, to the detriment of the Greek speaking bishops and clergy. This eventually led to the election of the first Arab speaking Patriarch in 1908. See V.I. Phidas, Ecclesiastical History (in Greek), op. cit., pp. 535ff (Ἡ ρωσική Πνευματική ἀποστολή στήν Παλαιστίνη); and pp. 165ff regarding the so-called « ἀντιοχειανό ζήτημα ». 7See for example the Πατριαρχικόν Γράμμα, Μελετίου Πάπα καί Πατριάρχου Ἀλεξανδρείας πρός τόν Μητροπολίτην Κιέβου Ἀντώνιον... Πάνταινος , Κ´ (1927) 514-515. 9Daniela Kalkandjieva, The Russian Orthodox Church , 1917-1948, From Decline to Resurrection, Routledge, London and New York, 2015, p. 180: "On September 4, 1943, Stalin made a clear offer to the leading hierarchs of the Sergian Church: "You have to establish your own Vatican." Although initially the notion of Vatican was used in its narrow meaning - that is, that Stalin meant a restoration of the Moscow Patriarchate as an institutional church center with necessary facilities, such as an ecclesiastical academy, library, printing house, and other necessary units-it was soon transformed into a policy for establishing the Moscow Patriarchate as an institutionalized center of global Eastern Orthodox Christianity." See further, pp. 9, 182, 191, 198, 200, 246, 265, 273, 283, 293, 294, 296, 307 and 347. They are all very revealing. 10 The ROCOR was accepted under the canonical protection of Constantinople in 1920 after they fled Russia in the aftermath of the Bolshevik Revolution. In 1921, its Bishops went to Serbia and uncanonically established the Karlovtsy (from the town Sremski Karlovci in Serbia) Synod in the jurisdiction of the Serbian Orthodox Church, which claimed jurisdiction over the entire Russian diaspora worldwide. This action was condemned by Patriarch Tikhon of Moscow, Patriarch Basil III of Constantinople, and Patriarch Meletios II (Metaxakis) of Alexandria (formally the Patriarch of Constantinople) i n the 1920's as an uncanonical breach on the jurisdiction of Serbia and beyond. See Thomas E. FitzGerald, The Orthodox Church , Prager, Westport Connecticut London 1998 for a general account of Orthodoxy in America, pp. 45-46. 11 Daniela Kalkandjieva, "Orthodoxy and Nationalism in Russian Orthodoxy" in St. Vladimir's Theological Quarterly , 57:3-4 (2013) p. 301. For details see her book, The Russian Orthodox Church.. op. cit. 12 Although Kalkandjieva attributes the origin of this theory to Nikolaev, we also see Troitsky utilizing it by condemning Constantinople for adopting a Papalistic heresy. See Kalkandjieva, Orthodoxy and Nationalism in Russian Orthodoxy , op. cit., p. 299 and Troitsky, The Limits of the Authority of the Patriarch of Constantinople over the Diaspora , op. cit., p. 67. 13 See Kalkandjieva, Orthodoxy and Nationalism in Russian Orthodoxy , pp. 296-303. For a more detailed and extensive account see her The Russian Orthodox Church , op. cit. 14 See the Journal of the Moscow Patriarchate , (1947), no 12 pp. 31-42, (1949) no 12 pp. 29-54, (1950) no 2, pp. 36-51 and no 3 pp. 45-57, etc. 15See Fr. Alexander Zadornov, Kanonicheskoye Pravo v Poslerevolyutsionnyy Period: Kazus Professora S. V. Troitskogo (Canon Law in the Post-Revolutionary Period - Prof. S. V. Troitsky's Case), p. 250. During this time, Troitsky wrote his Tcherkovna jourisdiktchija nad diasporom , Beograd, 1932. 16 See Zadornov, op. cit., p. 256. 17Kalkandjieva, Orthodoxy and Nationalism in Russian Orthodoxy , op. cit., pp. 301-301. 18 See Zadornov, op. cit., p. 258. 19 Troitsky, (" O granitchach raspostradenija prava vlasti Konstantinopolskoj Patriarchii na 'diaspora " (The Limits of the Authority of the Patriarch of Constantinople over the Diaspora), Journal of the Moscow Patriarchate No 11, 1947, pp 34-45. 20 Troitsky, The Limits of the Authority of the Patriarch of Constantinople over the Diaspora , One in Christ , 50:3 (1996) 59-67 and in Sourozh , No 64 (May 1996) 33-52. 21 See Troitsky, op. cit., p. 67. 22 See Maximos of Sardes, The Ecumenical Patriarchate. , op. cit.